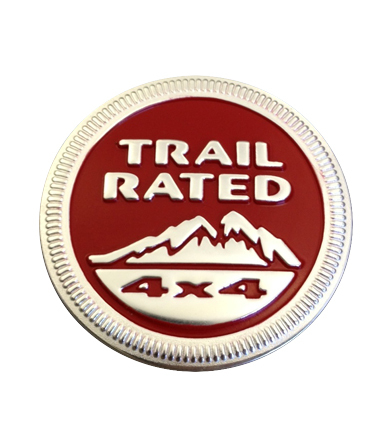 This Mopar factory red Trail Rated badge is an exact replacement for the original Trail Rated emblem on the Jeep Grand Cherokee Trailhawk model. When you want to replace a Jeep badge or decal that's been lost or damaged, turn to JustforJeeps.com' huge selection of badges, emblems and decals for genuine Mopar parts. This red Trail Rated badge measures approximately 2.38 inches wide.